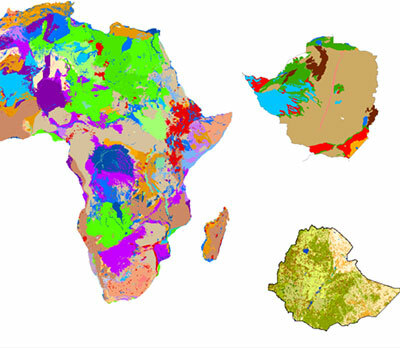 An online introduction to the groundwater resources of 51 African countries, and a gateway to further information. 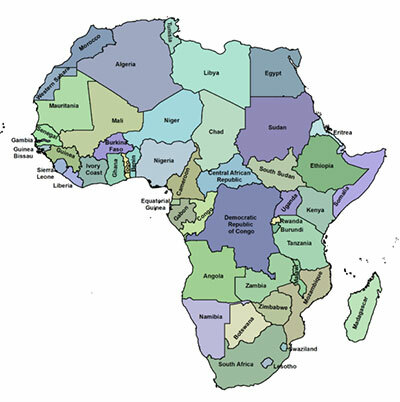 Many of the country profiles have been co-authored by groundwater experts in Africa. Each profile includes new hydrogeological and supporting maps, and references and links to further online and printed information. The Atlas also provides general information on key issues such as recharge, groundwater quality and groundwater development techniques. 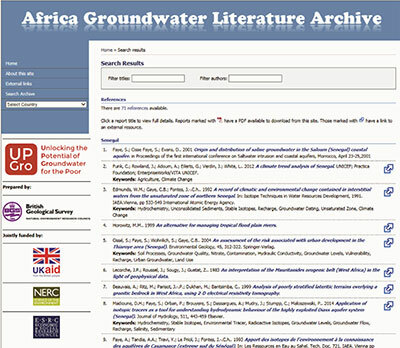 A searchable online database that so far catalogues nearly 7000 references for literature about groundwater in Africa. 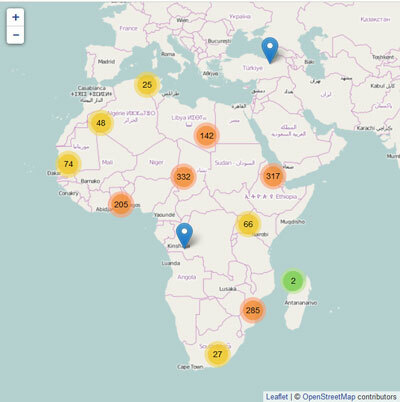 The Archive can be searched by themed keyword; by title and author; or geographically: either by country; or for more than 1500 georeferenced documents, by searching for their specific location on an interactive map. There are thousands of links to free-to-download full text documents and abstracts. UPGro is generating a huge amount of new knowledge. Select from the options below to browse a comprehensive library of papers, abstracts, article, reports and presentations that have been emerging from the presentation. You can also find links to resources from the individual Catalyst and Consortium project pages. UPGro researchers are required to deposit the data from their work in the appropriate UK research council data centre. This page contains the links where the data will appear when the relevant embargoes are lifted. UPGro funding has been used to support the development of many Masters and PhD students. As their theses become publically available, we will post them here.